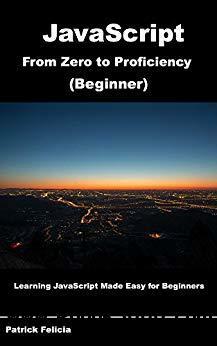 This book, unlike many other books on the topic, assumes that you will, as beginners, make mistakes, and it explains how to either avoid them or how to deal with them when they occur. Because this is what happens in real life, we all make mistakes and learn from them. This book also assumes that you can't be expected to learn everything at once; this is why all the skills will be built incrementally. This book makes sure that you keep motivated by providing you with the right amount of information and challenge in each chapter; we all know that it's hard to keep motivated when learning a new skill, so this book always contextualises the knowledge with an example (so that you feel it's relevant), and also makes sure that you get to challenge yourself if you need to. You will build your own code. Every step and all the code is explained in great details so that you never feel lost. The solutions to the code and challenges presented in the book are available so that you can compare/check your own code. All the concepts are introduced progressively so that you don't feel overwhelmed. A quiz is available at the end of each chapter (with solutions) so that you can test your knowledge. Optional challenges are added at the end of each chapter. In addition, many of the skills that you will learn in this book will be transferable to other languages. So, by investing in this book, you really invest in your (or your child's) programming career, by giving yourself access to a method that has already helped over 1000 students to become confident in coding.